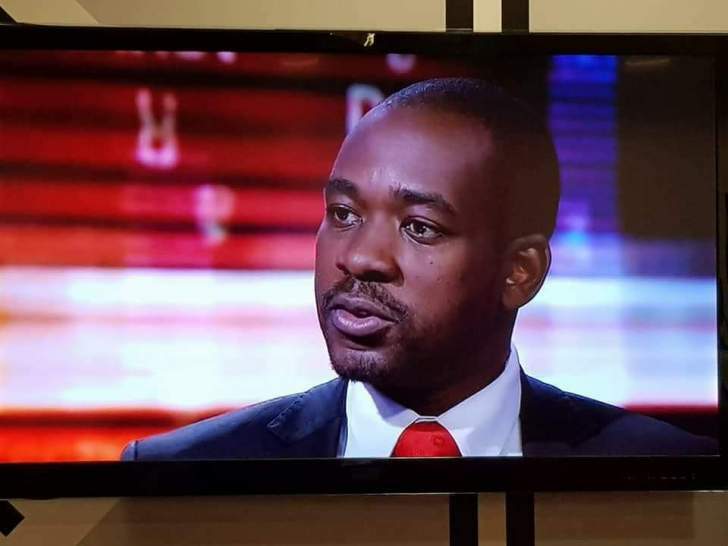 Fresh fissures have emerged in opposition leader Nelson Chamisa's MDC - amid damaging allegations of heightened factionalism and the use of "dirty money" to destabilise the party, the Daily News reported. This comes as Chamisa appeared to pull the rug from under the feet of his party rivals yesterday after he announced that the main opposition's much anticipated congress - which was due to be held in March next year - would now only be held between October and December. It also comes as the process to choose a new substantive leader for the party - following the death of its much-loved founding president Morgan Tsvangirai early this year - continues to prove hugely divisive. Party insiders said yesterday that Chamisa's move to postpone the holding of the planned elective congress to later next year had "greatly angered" his rivals who wished to contest him for the presidency. Chamisa, who narrowly lost to President Emmerson Mnangagwa in the hotly-disputed July 30 presidential election, assumed the reins of the MDC in contested circumstances following Tsvangirai's death in February. "There is dirty money circulating ... we know all this and some are now campaigning, but these are premature campaigns," MDC spokesperson Jacob Mafume told the Daily News yesterday. "The fact is, the date for our congress is between October to December next year. We had our last congress in 2014, so the congress is not due yet by any imagination. "We know that there are some people who are being sponsored by Zanu-PF to destabilise the party through early congress calls," he added. But party secretary-general Douglas Mwonzora - who, it is claimed, is backing the party's vice president Elias Mudzuri to take on Chamisa when the internal leadership elections take place - appeared to have been taken by surprise by Mafume's statement on the congress. "Is this what Mafume said? Let me check with him and I will come back to you," he said. Mwonzora not only beat Chamisa for the secretary-general's position in 2014, but has also regularly clashed with him - including over the manner of the interim leader's ascendancy to the MDC's leadership, which led to yet another split of the party ahead of the July 30 polls. Chamisa himself recently used the party's 19th anniversary celebrations to warn his rivals against pushing for an early congress. "I have told my colleagues in the top leadership that none of us should go wayward because it will be akin to a fish taking itself out of water, where it cannot survive. "So, we need to continue to follow Tsvangirai's way, the party's ways. Tsvangirai left power for me so that I will also pave way for the next leader, in that order. "We don't want a situation whereby someone would want to grab from me what I was given by Tsvangirai before I even start the journey he set me to embark on, yet you don't even know what he wanted me to achieve. "Why don't you wait for me to accomplish that first? Then I will also show you the way when you eventually take over," Chamisa said. This came after Chamisa outfoxed long-time MDC vice president Thokozani Khupe and Mudzuri in the battle to control the MDC after Tsvangirai fell gravely ill.
colon cancer in neighbouring South Africa. The deadly illness eventually took the former labour union leader's life on Valentine's Day this year. Khupe subsequently led a breakaway faction which contested the July national elections separately after Chamisa got the backing of key party structures, as well as members of the MDC Alliance, to lead the coalition in the plebiscite ahead of her and Mudzuri. Meanwhile, political analysts said yesterday that Chamisa's management of the congress needed to be consistent with the party's democratic aspirations if major ructions were not to follow. University of Zimbabwe political science lecturer Eldred Masunungure said the sudden change of dates of the MDC's congress was either a sign of lack of resources or fear of losing the internal poll by the Chamisa camp. "When you postpone something, it suggests a lack of preparedness … which can include inadequate resources. It can also mean that he (Chamisa) doesn't have enough confidence to conquer his rivals. "He may need more time to prepare … and may also want to consolidate his popular base before the congress. "But he is suffering from legitimacy deficit which he is accusing Mnangagwa of. He is also feeling that pressure from his own party," Masunungure said. Another political analyst, Maxwell Saungweme, warned Chamisa against violating the party's democratic tenets. institutions, leaders are elected by the people. "A democrat would not want to stay in power a day longer without due electoral process and a mandate from the party members. "I think pushing the dates as he did is meant to achieve two things. The first one is to completely change party structures and get rid of people like Mudzuri and Mwonzora who are being touted as potential challengers. "Secondly, the idea could be to align his elected term with national elections. Our next general elections are in 2023 and then 2028. "So, his move could be to ensure that he remains an undoubted Alliance presidential candidate for both 2023 and 2028. If he is elected Alliance president at the end of 2019, it means his first term ends in 2024 and his second term ends in 2029. "This means 2023 and 2028 are covered. He will be the Alliance president during both elections. This has hallmarks of a lack of democracy, in a political outfit founded on the need for democracy in our national governance," Saungweme said.